Hannah Klemm is the assistant curator of modern and contemporary art at the St. Louis Art Museum, where she curates the museum’s Currents and New Media Series exhibitions. Klemm previously was the Fisher Collection Graduate Curatorial Fellow at the San Francisco Museum of Modern Art, where she has worked on the contemporary German art collection. As a doctoral candidate at the University of Chicago, Klemm is completing her dissertation on the German artist A.R. Penck. She holds a master’s degree in art history from the Courtauld Institute of Art and a bachelor’s degree in art history with honors from Sarah Lawrence College. Klemm has received several fellowships and awards, including a 10-month research fellowship from the German Academic Exchange Service at Humboldt University in Berlin. Jess T. Dugan: Hello Hannah! Thank you so much for taking the time to talk with me today. Let’s start at the beginning. When did you discover your interest in curating, and what was your path to getting where you are today? Hannah Klemm: I grew up in an academic family in a Midwestern university town. My father was a professor there. I always felt very comfortable around art. We would go to art museums on all of our trips. When I was in high school, I participated in a youth docent program at the University of Iowa Museum of Art, where I was assigned an area of the collection and gave tours quarterly to junior high school and elementary schools students. I can still remember all of the works in the gallery. I loved abstraction at that time, and I had been assigned to the gallery holding one of the UIMA’s most famous works: Jackson Pollock’s Mural. That early experience always stuck with me. I studied art history and visual arts at Sarah Lawrence College. Despite never being good at making art, I always really liked doing it, and I think that it really serves me well to know how things are made. It was really art history, though, and being near New York City, that I found to be the most exciting. I started down my path interning at the New Museum of Contemporary Art back when it was in the old SoHo location. Over the years I explored various areas of the art world. I got a Master’s Degree at the Courtauld Institute of Art in London on 19th century German art. I really wanted to have a strong foundation in the 19th century, which was so important to artists in the 20th Century. After that I worked for two years at a for-profit gallery in New York City. I had always wanted to get my PhD. After a few years in the gallery world I decided it was time to try that, and I went to the University of Chicago to study post-war German art. I knew at that time that I wanted to be a curator more than a professor, and I shaped my academic work to fit that path. I took as many museum fellowships as I could, worked with artists in Chicago, and even ran a small local apartment-type gallery for a year. JTD: How would you describe your curatorial interests? Is there a unifying thread that connects all of your work? HK: I have come to contemporary art curating in two ways. One is academic, and the other has been working closely with artists over the years. I try to bridge these strains. I am always interested in the conditions of possibility that allowed for artworks to be produced: what was happening socially, politically, artistically in moments that contributed to artistic breakthroughs. Art historically, I am very interested in these broader socio-political threads, trying to rethink art history and expand it to be more inclusive and accurate, now that we have the benefit of hindsight. While in the contemporary realm, I am interested in artists who seem to be capturing important aspects of our present time, pushing us to see in new ways and think more broadly about the world. JTD: You are relatively new to St. Louis, where you are the assistant curator of modern and contemporary art at the Saint Louis Art Museum. What drew you to working at this particular institution? Are there specific aspects of the collection that you are especially excited about? 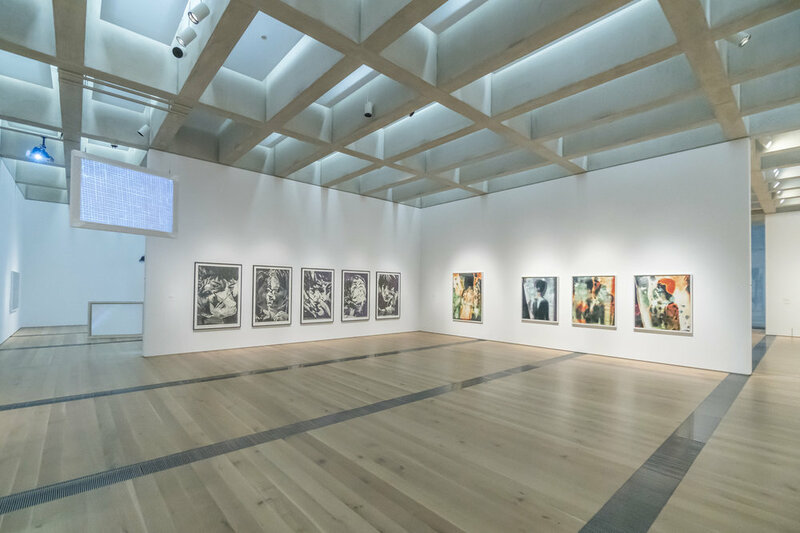 HK: It was the unique combination of a collection that was a perfect fit with my interests and the long running contemporary exhibition programs. My academic work has been primarily focused on post-war Germany. I wrote my dissertation on East German underground or unofficial artists working outside of the socialist system in the 1950s to 1970s. I have sought to examine forms of artistic exchange in the post-war period between Europe and the US and across the Iron Curtain. The Saint Louis Art Museum has one of the best collections of German art—both pre and post-war—in the United States. German art has been a primary focus of collection and display. In addition to the strong holdings of German art, SLAM also has an important collection of minimalism, conceptual art and other 1960s and 1970s movements, as well as contemporary art. The strength of the collection allows me to create alternative dialogues between objects that are not always seen together in US museums. It was also the fact that the Saint Louis Art Museum has been supporting solo shows by contemporary artists through its Currents and New Media exhibition series that really drew me in. JTD: That is a perfect segway to my next question, as I want to ask you about curating Currents, the museum’s contemporary art series, and the New Media Series. What is particularly exciting, or challenging, about curating these two series? HK: Both the Currents and New Media series are very exciting programs that are unique to SLAM. Currents has two different iterations. One is as a project exhibition of a new body of work by a single artist chosen by SLAM. The other is an exhibition that is part of a larger fellowship at Washington University in St. Louis called the Freund Fellowship. For that Currents exhibition there is an open call for the fellow, who is then chosen by Washington University faculty and SLAM curatorial staff. The artist comes to Saint Louis for two months to do studio visits with MFA students and then has an exhibition that is part of the Currents series. I choose artists based on how I think they fit into the collection, how their works speaks to the SLAM community and the broader Saint Louis community and what it really shows us about contemporary art practices. I have been very lucky to work with extraordinary artists so far. The New Media Series is a single-channel-video, black-box series. I really try to think about how video and film is being used, but also how it was used historically. 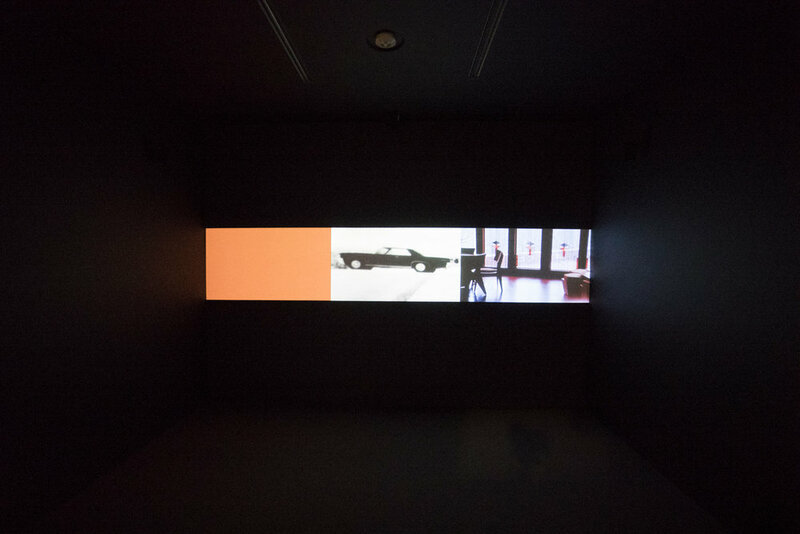 For example, in my first New Media I showed early works by the seminal video artist Dara Birnbaum, showing how contemporary her works looked, even though they were made in the late 1970s, and how technology has changed and video has become much more accessible. Since then, I have being doing more contemporary work, but I plan on going back to historic film and video as well. It is also a space we try to use to engage local video artists. We showed a local artist’s film and we did a screening as part of the New Media Series with a group of local artists. Hopefully these forms of engagement can continue. HK: Traveling, reading, looking at a lot of art. I like to talk to artist friends about who they are excited about. I try to keep up on what all the galleries are showing around the world. Sometimes exhibitions come out of art historical concepts; the first installation I did at SLAM was a gallery of German art from 1960 to 1990. Lately new exhibitions are coming from wanting to broaden understandings of certain time periods, break open the normative canons and show the multiplicity of voices that were present at different times. HK: Yes, it is a very conscious element in both the solo shows like Currents and New Media Series and, in particular, in building the collection. As an encyclopedic collecting institution, we have an immense opportunity to shift the collection to be inclusive of more voices. I have been actively trying to do that through the objects that I recommend for acquisition. However, the institution as a whole is pushing this mode of collecting as well. We received a transformative gift recently of 81 works by African American artists working in abstraction. Last year we acquired a painting by the Pop artist Rosalyn Drexler, whose retrospective came to Washington University’s Mildred Lane Kemper Art Museum. This 1960s painting is now hanging in our Pop Art gallery, and is the only work by a woman in that gallery. I try to think through these different artistic periods, especially in the “historic” contemporary—such as Abstract Expressionism, Pop Art, and Minimalism—and focus on who was doing amazing work but was barred from the canon at that time. It is vital that we as curators are constantly re-thinking and re-examining what those movements were and who was and was not represented. There is much we can still add and change about the collection, which is a really exciting part of the job. JTD: That sounds like a really exciting aspect of your job, although there must also be aspects that are challenging. What is your favorite part of being a curator? HK: I really like working with artists, especially on Currents where we get to show all new work. It is also one of the more challenging aspects, but often rewards and challenges go hand in hand. JTD: Conversely, what is the most difficult aspect of your job? HK: Coordination across such a large institution and thinking years ahead to exhibitions in the future. HK: Travel and look at art. Look at what is happening in your local art community and how you can learn from that, but also see trends in the broader art world. HK: I am currently working on Currents 115: Jennifer Bornstein and a New Media Series with Cyprien Gaillard. I am very excited about these projects. Jennifer Bornstein is showing brand-new etchings, photogravures, and photographs and a video alongside a never-before-exhibited earlier work from 2014 that is a 1:1 scale, relief-type print of the interior of a house in London. All the work deals with the history of print media and the 1970s women’s movement. JTD: Excellent, I’m looking forward to seeing both of those projects. Thank you so much for speaking with me today!